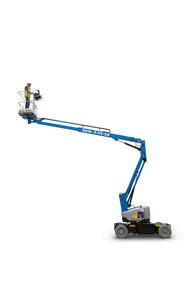 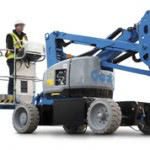 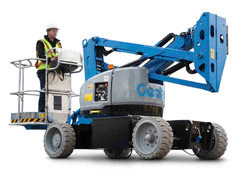 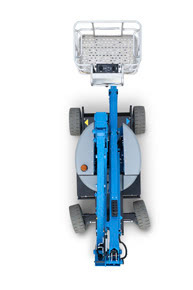 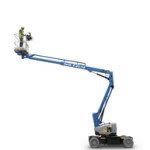 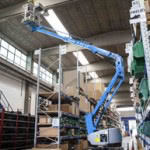 Whether you need to drive through standard doorways, around obstacles or to access overhead work from aisles, it’s all possible with the new compact Genie® Z™-33/18 electric boom lift. 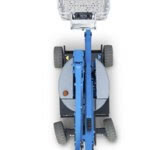 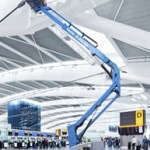 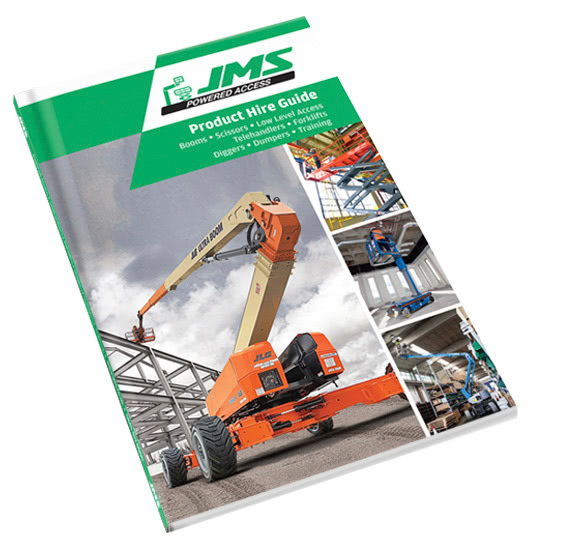 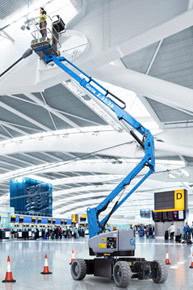 With a tight turning radius, a turntable rotation and Fast Mast™ boom function, the new light-weight boom is well-suited to tasks on sensitive floors such as airports, shopping centres and theatres. 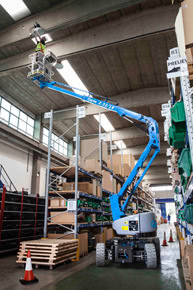 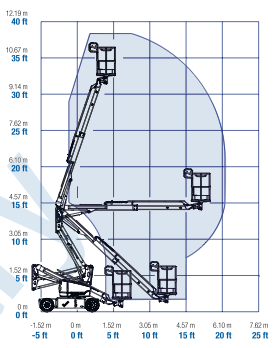 Thanks to its standard AC drive transmission, great ground clearance, non-marking or outdoor multi-surface tyres, the Z-33/18 boom lift combines the benefits of a genuine electric indoor machine with the versatility and autonomy to perform outdoor routine maintenance tasks.